I'm assuming that people here are interested about the wellbeing and security of the State of Israel. If you don't care about that, then you're either voting Zehut (if you care about drugs, and are willing to join any coalition to get them) or UTJ (if you only care about getting money for yeshivos, and are willing to sell Israel's security for it). I'm also assuming that most people here realize, as most Israelis have come to realize, that the left-wing parties have shown themselves to have a woefully mistaken approach to the Israel-Palestinian conflict. There is no such thing as real peace with the Palestinians in any foreseeable future. And one can only look back and laugh bitterly at the numerous politicians and army officers who claimed that the Gaza disengagement would bring security, and that if any missiles would be launched, the IDF would flatten Gaza with full international support. The fact is that as terrible as the current situation with Judea and Samaria is, there are no significant alternatives at the moment that are any better. Now, some people think that Blue-and-White, led by Benny Gantz and Yair Lapid, are the New Messiahs, insofar as they are Not Bibi. Personally, I think that it's absurd to think that Gantz, a person with absolutely zero experience in politics, is remotely suitable for a job that requires great political acumen and experience. And while Lapid originally seemed promising, more recently he seems to be a shallow hack just seeking popularity. Bayit Yehudi - a party that I supported in the previous election, and which I support in municipal politics - lost my support when they continued to rally around Rav Druckman as their spiritual leader, despite his support of serial abuser Motti Elon and refusal to apologize for such support. Ironically, they tried to crush the criticism of Rav Druckman by telling people that it would harm Bayit Yehudi; they didn't realize that in this day and age, it's precisely that sort of cover-up which loses support. Zehut seems to be very popular with several people in my neighborhood. Actually, it's the very popularity of it with certain notorious anti-vaxxers and conspiracy theorists that rang alarm bells for me. Looking into it more, I think that most Zehut supporters have not given serious thought to the ramifications of Zehut's platform, which, practically speaking, calls for all-out war against the Palestinians, the entire Arab world, and making even many staunch defenders of Israel (including religious Jews) renounce their support. Not to mention the fact that Zehut refuses to commit to supporting Bibi for prime minister, and is open to endorsing Gantz/Lapid. So, there's Likud. It's a mainstream party with some excellent people that stands for Israel's security. And however much one is repulsed by Bibi (and I must say that as a former fan, I have been very disappointed by his egotism over the last few years), the fact is that he is incredibly savvy and has successfully led Israel to economic prosperity and relative security in a very, very difficult climate. I was therefore considering voting Likud. Still, Likud sometimes gets weak at the knees, and occasionally leans a lot more left than one would expect from its ideology. It needs propping up from the right. Yemin HaChadash - the breakaway from Bayit Yehudi, led by Naftali Bennett and Ayelet Shaked - seems to fill that role best. As one person said, Yemin HaChadash is Likud's ideology actually put into practice. 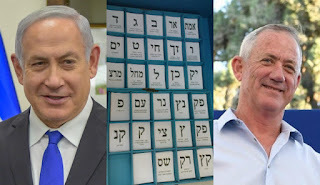 Now, some people are claiming that it's dangerous not to vote for Likud, because if Blue-and-White ends up being the largest party, then President Rivlin might ask Ganz to form a coalition. That seems to be unrealistic fearmongering, for two reasons. First, it doesn't look like they will be the largest party. Second, even if they are, there are not enough other parties that will endorse Ganz/Lapid as prime minister - Bibi is ahead by around ten to fifteen seats. 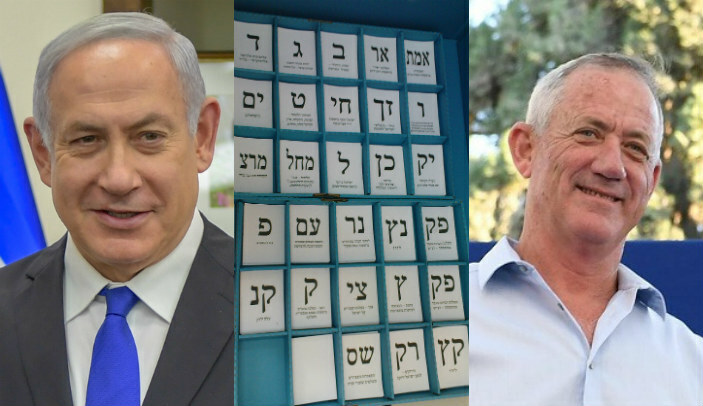 It seems much better to vote for Yemin HaChadash, and make it more likely that Bibi will form a coalition with right-wing parties than with Blue-and-White. There, that's my take on things. Unlike with hyraxes and rationalism and firmaments, I speak with no particular expertise. Feel free to disagree! Meanwhile, here's a link to a very useful unofficial FAQ that someone prepared about Yemin HaChadash. the only comment I can make is your description of Hayemin hechadash - " Yemin HaChadash is Likud's ideology actually put into practice". maybe, maybe not - they are a new party and we dont really know if they will put any of it into practice. for now it is just talk. Bennett, in the past, has not been good about getting Bibi to do anything he has demanded. So Zehut is bad because (a) you think they're too bellicose about the Arabs and (b) you think they're too willing to sit with leftists. Do you hear yourself? "it's absurd to think that Gantz, a person with absolutely zero experience in politics, is remotely suitable for a job that requires great political acumen and experienceit's absurd to think that Gantz, a person with absolutely zero experience in politics, is remotely suitable for a job that requires great political acumen and experience"
For the first time in US history, in 2016 the US elected a President who had never held any civilian or military governmental position in his life. The results have been catastrophic. The US had previously elected three career military officers with no civilian governmental experience -- Taylor, Grant, and Eisenhower. Taylor and Grant are universally derided as two of the worst US Presidents ever and anyone who cares about Israel would put Eisenhower in that category, too. This may or may not apply to Israel; I am not Israeli, don't have a vote in Israel, and should not have a vote in Israel until I make Aliyah. It's amazing that the above commenter doesn't seem to realize that in the realm of politics, there is no such thing as "universally." (The only exception is George Washington, for the simple reason that in his time there was only one political party.) Perhaps he thinks that by asserting his opinions as though they were facts, they will become so. A common leftist belief. Compare how R. Slifkin admirably began and ended his post, freely acknowledging that his politics are his own opinions - like all of us here - and are no more right or wrong that anyone else's. That's how you do it. Taylor was President for only a year when he died. Grant was re-elected. While his Administration was noted for extensive corruption, he did actually do good things against the Klan and to promote civil rights and in other areas. Eisenhower was not a bad President. Trump is uniquely bad and it was easy to tell that before the election. I think that looking to past experience is too much of a shortcut. DF: "A common leftist belief." You are doing what you claim Charlie Hall did. In actuality, he state his opinion even if he didn't say "in my opinion". You on the other hand make up a fact about how "leftists" state their opinions as facts more often than, I guess, "rightists". Maybe just stick to making an actual argument. As to the Trump disaster, some parts are pretty objective. He can't get his own appointees to stay and often claims that they did a terrible job. So he more or less admits that he is a failure at appointing administration officials which is half or more of the President's job. The Turnover at the Top of the Trump Administration Is Unprecedented. I know that article is from an what is in your view unreliable leftist rag, but you can do the counts yourself to verify. Do you know what "objective" means? It means its not subject to opinion. The president got voted in by 90 million people and will get the same or more in 2020. They have a different opinion than you. Get over yourself. Bibi made Bennett look like a wimp when he called his bluff on the Defense Minister bluff - while will Bennett have any more power to influence this time around? Zehut's top priority is not sitting in a government that would give away any land to our enemies. "All out war" against our Palestinian enemies is a good thing, if done intelligently. Keep in mind that Bibi's strategy of kicking the ball down the road for a different, future Prime Minister to deal with is short sighted and our enemies will eventually force our hand at much greater cost. What should have been done in 1967 should also be planned now. With respect to supporting Netanyahu: clear indication that in politics, morality always takes a backseat to pragmatism. I find Shaked to be more positive than Bennett who never ceases to repel me. Excellent summary, I tend agree with pretty much everything you wrote - however the moment that Bayit Yehudi and Likud both lost my vote was not over the Rav Drukman scandal (which I agree was shocking) but when together the brought the ideology of Meir Kahana into the mainstream be together bringing Otzma Yehudi into Bayit Yehudi. I think Rab Maidan said it best during the negotiations between Mafdal and Oztma Yehudi when he said that he would rather Mafdal fail to break the threshold and be outside the government than to sit with someone who has a picture of Baruch Goldstein on his wall. Bibi's political experience is mainly being put to use to further his own wellbeing rather than the good of the country. And his experience has left us with a huge budget deficit and he's even willing to bring in racist kahanists to keep himself in power. Oh yeah, and he's going to jail for be g corrupt. You somehow missed those things out. Orthodox Jews would never vote for a gay PM because it's a 'toeivo'. But they will happily vote for Bibi who is also a 'toeivo' al pi haTorah. It is extraordinary dishonest of you to say that all Zehut cares about is drugs. Feiglin was asked straight out if he would sit on a government that would legalize weed but give away parts of Jerusalem, and he answered "I won't sell Jerusalem for weed". I never said that. I said that people who only care about drugs will vote Zehut. Not that Zehut only cares about drugs. But that's factually untrue. I don't care about drugs. Feiglin doesn't care about drugs. I suspect the vast majority of our supporters don't care about drugs. Do you not understand that the cannabis issue is, other than the fact that people are being abused within the medical system and suffering badly, largely a symbol? We want the government to stop meddling in our lives. Feiglin is well informed about cannabis because of a son who was in a horrible car accident and a wife with Parkinson's. Because of them, he met many other people with similar issues. Number 9 on our list is a terminal cancer patient who is being screwed over by having his medication withheld, and is in tremendous pain because of it. But long before the Parkinsons and the car accident, Feiglin, and those of us who support him, were about human rights and liberty. I first met him in 1999, and the first thing that impressed me about him was how passionately he spoke about religious coercion driving people away from Judaism. People are voting for Zehut who want to live their lives without being beaten on the head by socialism. A guy I know was studying in the US, and while he was there, he started a small business out of his home. Spices. He didn't need the money, he just enjoyed it. It was what he likes to do. So when he got back to Israel, he tried to start the company up here. After going through seven circles of Israeli bureaucratic hell, he finally gave up. He's number 7 on our list, btw. A professor of physics, former member of the Shabak, and father of nine. A frum guy who doesn't give two damns about drugs. I'm honestly surprised at you. After what you went through, being judged by people who had literally no clue what your views were about anything, but were willing to rely on rumors and sensationalist headlines, to see you doing the same here is really disappointing. Of all people, you should know better. I'm a bit disturbed that you don't seem to understand the difference between saying that people who vote Zehut only care about drugs, and saying that people who only care about drugs vote Zehut. You're right. I misread "people who only care about drugs will vote Zehut" as "only people who care about drugs will vote Zehut". Looking into it more, I think that most Zehut supporters have not given serious thought to the ramifications of Zehut's platform, which, practically speaking, calls for all-out war against the Palestinians, the entire Arab world, and making even many staunch defenders of Israel (including religious Jews) renounce their support. Not to mention the fact that Zehut refuses to commit to supporting Bibi for prime minister, and is open to endorsing Gantz/Lapid. I disagree that it calls for all-out war against the local Arabs, let alone the rest of the Arab world. You can't imagine how it would work, so you assume that it would have to involve all-out war. You're wrong about that. As far as not endorsing Netanyahu, did you see what happened to Bennett yesterday? Bennett, who has said he will absolutely join Likud in a coalition, has given away all his power. Netanyahu doesn't have to worry about him at all. So when Bennett announced that if Netanyahu signs a cease fire with Gaza, he won't sit in a coalition with him, Netanyahu just laughed. Because Bennett has already unloaded that weapon. You may be fine with Netanyahu giving away half of Jerusalem after he's elected. We aren't. You somehow think that a real leftist is worse than a fake rightist. We will stand for Eretz Yisrael against both Netanyahu and Gantz. "I'm a bit disturbed that you don't seem to understand the difference between saying that people who vote Zehut only care about drugs, and saying that people who only care about drugs vote Zehut." I've been around some, but that wins the award for the most asinine reason I have ever heard not to vote for a party. I mean, people who only care about the appearance of the Justice Minister vote Yemin Chadash. Where on earth did I give that as a reason not to vote for them? I was merely pointing out how various people make their decisions. So you're saying that people who don't care about security vote for Zehut or UTJ, and anyone who votes for any other party surely cares about security and is not some other single-issue voter??? Like, for example, dontcha think that people vote for Lapid because they DON'T want Yeshivos to get money, security be darned? Look no further than this thread! Decries the fate of women in Charedi circles but is not terribly fussed by the systemic apartheid of Arab citizens under the occupation in the West Bank. Claims to care about the security of Israeli citizens but believes that regular missile fire on Southern cities is just how it has to be. What really sticks in the caw is the sanctimony. Vote for Likud if you will, but don't pretend to care about universal human values. Don't pretend to care about any human other than those who look and think just like you. Democracy - shmemocracy. Slifkin rules by the F16. "Claims to care about the security of Israeli citizens but believes that regular missile fire on Southern cities is just how it has to be." So you think that the solution should be for Israel to make it possible for regular missile fire on her coastal plain to become a reality? Do you believe that the Palestinian diaspora across the Arab world should flood in to the Palestinian areas so that they can join "return rallies" at the Green Line? Talk about sanctimony if you wish, but address the consequences what you advocate. No, I believe that Israel should use its armed forces to destroy its armed enemies. Israel let an unreasonable terrorist group - Hamas - take over Gaza. We did this because we had political differences with the PA over final status questions. It was an unconscionable strategic blunder of the sort that clear minded countries - like Turkey, or the USA, or Russia - would never make. We can work with the PA. We cannot work Hamas, unless you call a rocket every night and flaming fields of produce "working." If Israel is not prepared to go toe to toe and take several hundred casualties in a strategic battle to root out the control Hamas has over Rafah, Khan Younnis and Gaza City, why would they take us seriously? If Israel is not prepared to use its army to defend innocent citizens, why cripple the economy to pay for it? Why do conscripts give up three years of their life? To set up roadblocks around the envelope and argue with reporters while the airforce "mow the lawn?" To shout at old Arab women every Friday after prayers? When did the armed forces of Israel become protest stewards? Netanyahu knows he cannot hold Gaza without the PA. So rather than work with them, he'd rather the entire South cower in bunkers when heavy missiles "misfire" every week now. He's so terrified of the prospect of imminent peace that he sacrifices half the country to maintain his perpetual war. Do you think ISIS took the Americans seriously back when they were carrying out drone strikes in Mosul? No. They took them seriously when they partnered with local forces to take and hold ground. Everybody knows that the Emperor has no clothes. Strategic deterrence has failed to deter Hamas, and now they are saying that the constant threat of accurate long range missile fire is no longer a strategic threat. For shame. Oh, and for all the commentariat whose Pavlovian response to a critique of Netanyahu's lack of a strategy is to accuse me of being an armchair general - isn't the worst example of armchair generalship the cold blooded acceptance of a rain of terror weapons on the South as regrettable but the best that could be hoped for. Isn't the deviation from millitay orthodoxy from those who think that the ground forces exist not to close with and kill the enemy, but as a backdrop for the Dover Tzahal's Purim Twitter feed? "Israel let an unreasonable terrorist group - Hamas - take over Gaza. We did this because we had political differences with the PA over final status questions. It was an unconscionable strategic blunder of the sort that clear minded countries - like Turkey, or the USA, or Russia - would never make. We can work with the PA."
It was under American pressure, from president Bush et al, to have Hamas participate in "free elections" that would otherwise not be "democratic." Hamas didn't take Gaza because it won democratic elections. It took Gaza because it was better armed and motivated then Fatah. And that happened because the Fatah Gaza chieftain - Mohammed Dahlan - was systematically undermined by Likudnik and US neocon myopic types who were still fighting the PLO of the 1980s and the Intifada of the 1990 - and because Dahlan's brutality and use of torture had alienated many Gazans. The cash never arrived. “Nothing was disbursed,” Dahlan says. “It was approved and it was in the news. But we received not a single penny.” Any notion that the money could be transferred quickly and easily had died on Capitol Hill, where the payment was blocked by the House Subcommittee on the Middle East and South Asia. Its members feared that military aid to the Palestinians might end up being turned against Israel. The Haredim are a much greater danger to the survival of the State of Israel than the Arabs. Our army can handle the Arabs. But a strong army needs a strong economy and a strong economy needs a trained workforce. Or a workforce at all. The Haredim refuse to train boys for employment and Haredi men don't work. So I'm voting Blue & White because the Haredi parties have promised to not sit in a coalition with Blue and White. If Blue and White form the next government, maybe the Haredim will be forced to go to work and to teach English and mathematics in their schools. R. Slifkin: If you lived in Sderot, would you still write these same things about the "relative security" that Bibi has brought? What happened to the first obligation of a government (at least a democratic one) to protect its citizens physically? The only party that comes close to taking this issue seriously is Zehut. I don't like Motti Elon for a couple of reasons, but charges against him are nonsense. I remember his first indictment. There was a boy that suffered from bullying in the dormitory, and for one-night solution Motti Elon invited him to his own home. In a middle of night Motti Elon checked that the boy sleeps good enough, does not suffer neither from cold nor from hot nor from anything else. This is abuse?? There is well-known story about Hafetz Haim who contributed his blanket to a boy who was not ever finally accepted to his yeshiva. Fortunately, it was in Poland. If Hafetz Haim would live in modern state of Israel, he would be imprisoned for his blanket. And since the yeshiva principal obviously should pay attention mainly to boys with problems, I bet Motti Elon was serial abuser from such the kind of "abuse", indeed. I wasn't there. I don't know what happpened. But I do know about child sexual abuse. Responsible educators put in place appropriate boundaries. No educator should invite a child to spend the night in their house. No responsible educator would enter the room of a sleeping child. What happened in Radin happened in a context of lack of awareness of CSA, and wouldn't be acceptable now. That's exactly how he got away with it for so long. By being extra nice to the people he wasn't abusing, courting the powerful and influential. For victims, he chose the weak and vulnerable. I'd stick with Likud, tried and true. Say what you will, Bibi has done a masterful job growing the country and keeping it safe. Who cares what the haters say. As for Bennet - I don't believe him when he speaks about the out of control Judiciary. He had plenty of time to do something about it if he really wanted to, he just uses it as political fodder for his base. And I really don't like that the website you link to brags about "50% female representation". Excuse me? That type of race and gender identity politics is what has ruined the USA. And he thinks its a good idea to bring it to Israel? No thank you. When you wake up and read the words you have just written "Bibi has done a masterful job growing the country and keeping it safe" - you are in for quite the hangover. Let's start with the economy. Under Netanyahu Israel has become the most unequal OECD society. To put it bluntly, Netanyahu as telecommunications and defence minister has repeatedly disadvantaged the poor for sweetheart deals with the magnates. As for security. At the moment Netanyahu is desperately bribing Hamas not to ruin his re-election campaign with repeated accidental rocket fire, and they keep upping the ante in utter bad faith. It is a humiliation. Hamas modulates the pressure effortlessly and the IDF is left to impotent posturing against empty buildings and nurses. Indeed. Under Bibi's watch the Iranians and Hezbollah are at ILs doorstep. Bibi's strategy was to 'let the Arabs eat themselves' yet he clearly has not been able to deal with the Syrian regime gaining the upper hand against Democratic and Islamic forces of all colours. Indeed, it seems that his regime has even funded such forces. His foreign policy has been an utter disaster and his self-annointment as FM has spread him even more. He has meddled in the US elections and aligned himself with a dubious charlatan. He is all bluster and rhetoric. He has sought to undermine the IL judiciary. ILs are taxed to the hilt and the machinations of keeping the religious parties (anti-zionist as well by the way) happy has meant siphoning funds to Jews who hate the State. If many ILs like that then that is really indicative of the path to a dark future that IL is taking. Guys - this is politics. Like RNS said, we all have our own opinions. This forum was only meant for all of us to register our opinions, just for fun. No sense in wasting your time arguing with me, you're not going to change my mind any more than a Bibi supporter will change yours. We're all sure our political opinions are right, and the other guys are nuts. The idea of politics being an aspect of your identity, something that is immutable and not accessible to reason, is problematic. I am voting for Zehut because their mandate is not going to be security, making their arab agenda irrellevant. Rather they will likely get education and possibly finance. In both those areas zehut largely alligns with my best interest. Namely school vouchers, lower income tax, and cheaper housing. Every position of his is clearly laid out in his book and writings. We know what we will get and due to his uncompomosing nature (here it means he will actually get it done). For me the priority is a likud lead government with a touch of financial changes, education and less government. Living in Israel is hard, and more government is not the answer. Kahalon "made cell phones affordable", zehut will take our childrens education out of the cortupt educational system and place them in the free market. Yes please! If you think Bibi will let him do any if that then you are the same lala land as the druggies who are voting zehut. In a future Bibi government Haredi interests will always be prioritized. I came here to underscore your comments about Zehut, which I was once intrigued by and now consider a dangerous party. I contacted Zehut myself to find out their positions. The question I asked (twice) was "would you vote against a bill that would prohibit unvaccinated children from attending publicly funded schools?" The answer was "We want schools to be controlled on the school level, and not on the national level." That means that Zehut believes that antivaxxer parents (and whoever they can convince to establish a publicly funded school - presumably by giving them their vouchers) are better able to judge the risk to society of their insane and negligent choices than public health nurses and policymakers are. Vouchers are great, but not when it comes to giving diseases which should have died last century a free ride on the back of your neighbour's ignorance. I would prefer that the government use social sanctions to keep measles and polio out of my air. I think Moshe Feiglin should as well, and I'd like him to come out publicly and commit to it. Isn't that what government is for? So a vote for Zehut is a vote to establish hotspots for communicable and preventable disease. it's a vote to lower the immunization percentage. it's vote to put the most vulnerable people in society at risk due to decreased herd immunity. it's a vote to give criminally irresponsible parents tacit governmental approval for their negligence. I would really like it if Moshe Feiglin would come out publicly to prove me unequivocally wrong. I would love to hear him say without reservation that no public money will support the education of children who are (for ideological reasons) unvaccinated. Yes, Zehut believes in individual freedom over orwellian government. What about daas Torah? Don't we have to vote gimmel because the rabbis say so? lo tasur yamin osamoel? Why are some of your comments as "Rabbi Dr. Natan Slifkin" and some as "Natan Slifkin"? Now that Eli Yishai did a noble thing, deciding the cause was bigger than himself , took one for the team, dropped out, what might be the lessons that we could derive? A riddle wrapped in a mystery in an enigma ?Possibly .There is some clue however. Let us detour to another case: Mr.Ben-Ari. Is he proverbially far right ?OK,Without a doubt. There are others on the far right who have in the past been in Knesset. Ben Ari served in knesset himself as recently as 2013. What does he and Baruch Marzel have on the others? A wish for a Theocratic biblical state?Perhaps in the long term.Not for the immediate future. They have unabashedly, loudly, in the most public sense, condemned all forms sexual perversions. So they were banned. Their sidekick, Itamar Ben Gvir, was not. why ?He sings the same song as they do on National and security issues. Back to what happened with Yishai. The media chose to bury him was virtually impossibly low polling numbers. As low as 0.1%.. He was forced to throw in the towel. Conversely ,Moshe Feiglin a decade or so ago was hated as a vocal ‘homophobe’.He has evolved/ devolved on the socio-religious moral spectrum and now basically a libertarian. Has he similarly evolved nationalist issues? are fully cognizant That they are perceived as hoary great uncles, out of touch and without much effect on the mainstream. They're largely perceived as Santas. The middle-of-the-road Israeli vacillates Between desiring to give them nice k-nip on the cheek, while on the morrow screaming and venting Off at them any momentary angst. Might it be possible that issues that for most others are of national import,they grasp as little more than smoke and mirrors? Who Else Should Help Desperate Kollel Families?